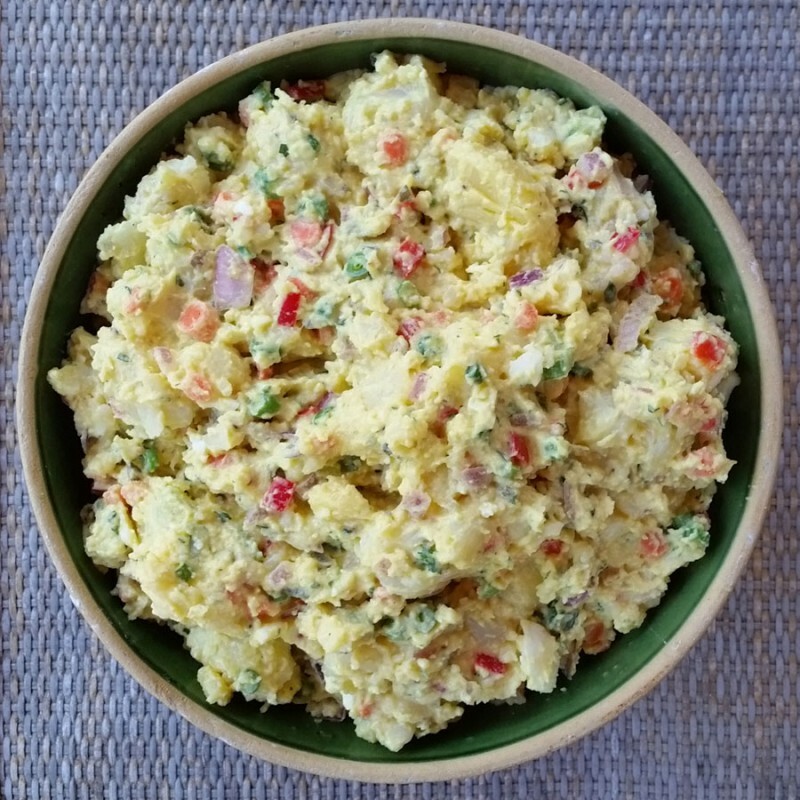 A recipe for a southern potato salad with eggs, sweet relish, mustard, red peppers, celery, carrots, red onions, parsley and more. It resembles confetti. In a large saucepan, cover potatoes with cold water and cook until they are fork tender, but firm. Drain and cool. Peel the potatoes. In a large bowl, mix the red pepper, celery, red onion, carrots, and string beans with 2 teaspoons of kosher salt and set aside for at least 1/2 hour. Gently crush the potatoes and eggs with your hand or a fork in a bowl being sure to leave large chunks of potato. You can add any other vegetables you like. Just be sure to degorge them with the salt treatment so you remove excess water from the salad.